LANCE Whitnall is back in the EDFL coaching fold after spending the past three years away from senior coaching. 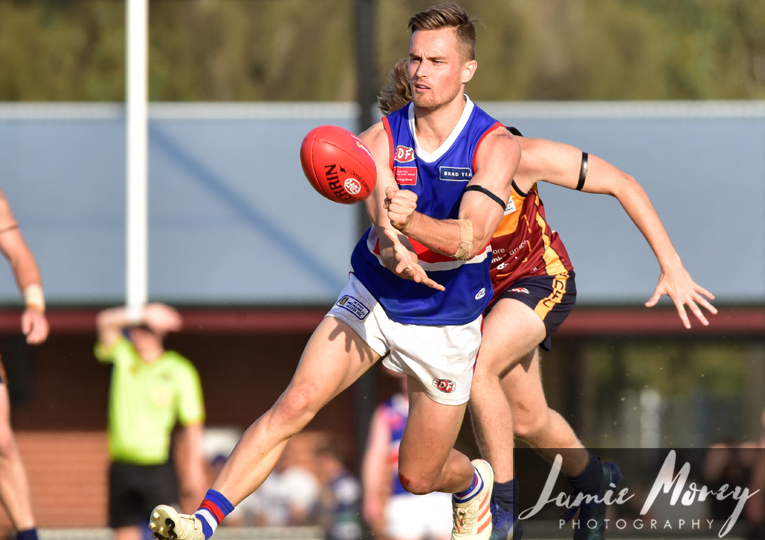 He left Glenroy at the end of 2015 for an assistant role at the Calder Cannons before returning to the EDFL in 2018 as Craigieburn’s football manager. 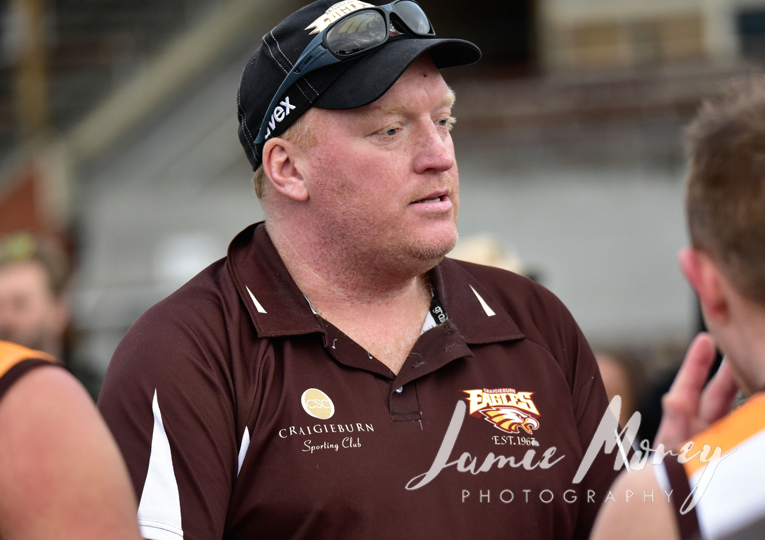 With 2016 premiership coach Peter Bugden vacating the senior gig following the Eagles’ 22-point preliminary final loss to Tullamarine, Whitnall became the ideal candidate to take his place. Ahead of his first pre-season in charge of the Eagles, the former Carlton skipper caught up with EDFL Media’s Adem Saricaoglu. AS - How are you feeling about being back in the driver’s seat as a coach after a couple of years away from that kind of role? LW - Yeah, I’m just really looking forward to, as you said, being back in the driver’s seat and coaching a team myself again. It’s been a couple of years since I’ve had my own team to coach. You’ve been busy, but have you missed the actual role of senior coaching? I have missed it. I really enjoy that part of it and having your own team, so to speak, so I have missed it. But I’ve gone and learnt some new things along the way and hopefully now I can implement them. This year at Craigieburn you were a bit more hands on in the background as opposed to game day, but you did spend time on the sidelines as well. 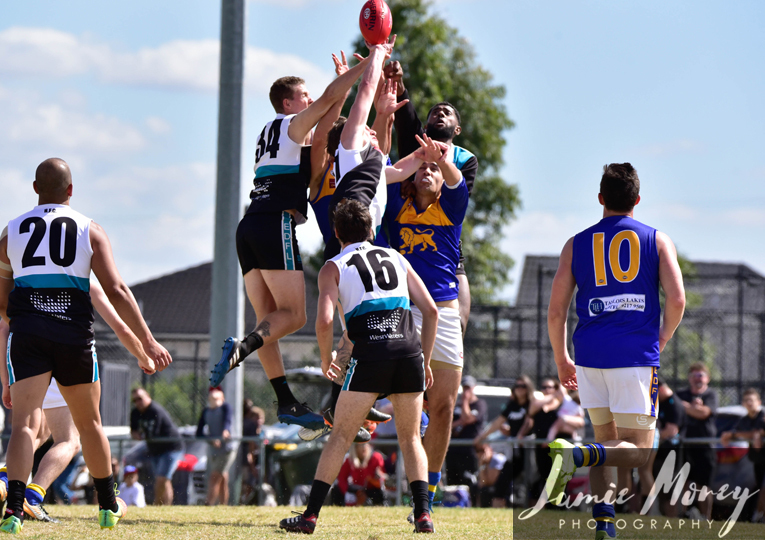 Looking back on the season, how do you view Craigieburn’s overall performance? Looking back on it, I thought it was a really good performance. As we all know, we’re a really young side and we’ve got a lot of young kids. To get into a preliminary final… if you had have said at the start of the year that we’d make a prelim final and be competitive in that final, we probably would have taken it at the start of last year. So looking back, I think it was a pretty good year. Was finishing third about right? I know luck plays its role and you’ve got to be the better team on the day, but finishing third and finishing a game short of a grand final, was that a fair reflection on where Craigieburn was at within the division? I reckon it was pretty spot on. I think the good part about us is that our best was good enough probably to match it or beat the best two sides and we just couldn’t do it for long enough… and that was sort of our problem last year. Youngsters in the side just probably couldn’t maintain it for long enough, but I think third was about spot on. The top two sides beat us every time they played us and we beat everyone else below us, so I think it was spot on. You had some pretty good players in the side in terms of experience but do you think that was probably the thing that might have been lacking compared to Airport West and Tullamarine and do you somehow try to address that now? We’ve got a lot of good, experienced players but many of them were out injured for a lot of the year, so it was basically thrown to the kids to run the ship. Our captain Christian McErlain missed a lot of games through injury. Jake Piggott also missed a lot of games and he’s our vice-captain, so I think it was just a year where our experienced players weren’t out on the park to help our kids. I think every good team needs experienced players and I think when our experienced blokes are out on the park, we’re as good as anyone. Is list retention going well? Yeah, that’s going absolutely great. I think we’re close to signing every player within our top 26 to 27 players. They’re all nearly signed. We’ve retained 90 to 95 per cent of our 2018 list. A couple of years ago, Craigieburn didn’t handle promotion very well. When you talk to other clubs like Airport West and Tullamarine, some of their planning included the potential of going up into Premier Division. How much time do you think you should be spending on not only immediate success, but if you do happen to go up, that the club’s in a good position to be able to handle it? Is it something that’s high on your radar just yet or are you more focused on the here and now? That was definitely high on my radar from the minute I walked into the club. I wanted to set a plan on going back up to Premier and surviving, and then being good in Premier. So we basically started building it from scratch from what we had and then just added guys that wanted to go up to Premier and as everyone can see, we’ve got a very young list at the moment and all those kids want to go up and play Premier Division footy and if we can all go up together, that’s what we’re building for. The last time Craigieburn went up, they probably bought the flag. A lot of guys were near the end of their career or looking to play elsewhere, where at the moment we’re trying to build it from the bottom and get a lot of young kids that want to stick together for a long time and go up to Premier. Do you feel like there are some similarities between this gig and when you were at Glenroy? Glenroy was up and about and there was a grand final appearance while you were there as well, so does it feel like you’re in a similar boat and maybe you can learn some lessons from that experience and bring those to the table here? Yeah if you look at it closely that way then it is pretty similar. When I went to Glenroy, there was only two divisions and Glenroy was sitting near the bottom of the ladder in B-grade and again, we had to build it from the bottom up and then tried to sustain it. That’s exactly what we’re trying to do again. 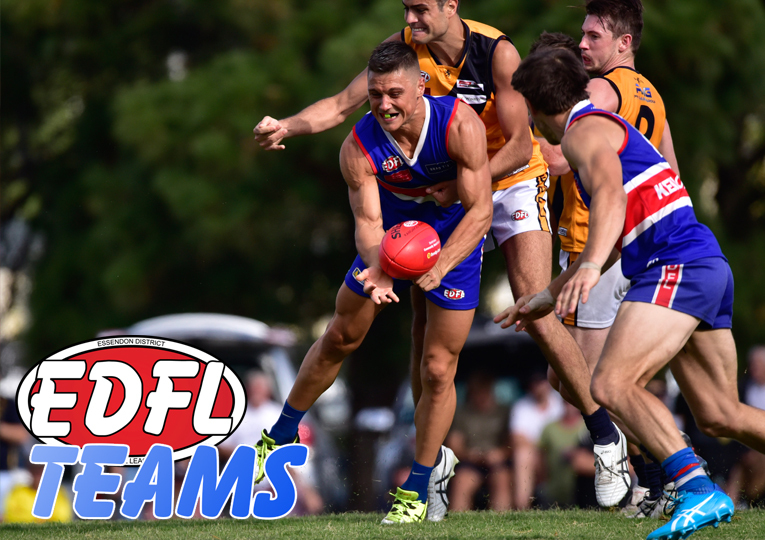 Finally, what sort of message are you going to sell to the playing group this pre-season and do you have any ideas about what sort of brand we’ll see next year from the Craigieburn footy club out on the field? There’s no hiding from the fact that we’re going to be a very quick side. We were pretty quick this year and the players we’re looking at adding are going to be even quicker again. So there’s no doubt we’re going to play a quick brand of footy and we’re going to play a selfless brand of footy as well. We’re not just going to be playing for ourselves. You’ve got to do whatever you’ve got to do to help your team mate out, so that’s the approach I’ll take and that’s how I coach my footy. That’s what we’ll be looking for.